Three New Zealand eventers go head-to-head with some of the best combinations in the world at the Rolex Kentucky Three Day Event in the United States this weekend. Andrew Nicholson has two of his younger horses in Qwanza and Calico Joe at the four star event, while Jonathan Paget has his World Champs star Clifton Promise and Lucy Jackson the 10-year-old Kilcoltram Ambassador. A record 73 horses entered, including former Kentucky champions, Olympic medal winners and some of the sport’s biggest names from the United States, Great Britain, Australia, and Canada. The US is using the Lexington event as selection trials for the London Olympics and the Kiwi selectors will be looking closely at the trio lining up for New Zealand. Equestrian Sports New Zealand high performance director Sarah Harris is expecting big things from all of them. The three are part of a seven-strong crew vying for the five London Olympic spots. Paget has ridden in Kentucky twice before, both in 2010 – at the Rolex and the World Equestrian Games where he finished seventh. Both of Nicholson’s horses are having their first four star starts. Meanwhile, Jackson is bubbling with excitement. Kentucky is the only four star three day event held in the United States, and is the third leg of the six part HSBC FEI Classics – in which Nicholson is sitting third – with riders vying for part of the $250,000 prize purse and a shot at the $350,000 Rolex Grand Slam of Eventing which goes to any rider who wins Kentucky, Badminton and Burghley in succession. 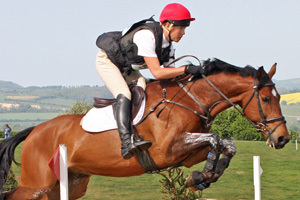 Burghley winner William Fox-Pitt is in the running. The event is expected to attract up to 100,000 spectators and is seen by millions more on worldwide telecasts. The event gets under way with the vet inspection, followed by two days of dressage on Thursday and Friday, the cross country on Saturday and culminating with the showjumping on Sunday.